Search For "E-Commerce & IT Outsourcing" Companies in Birmingham, Alabama - Click Here Now! 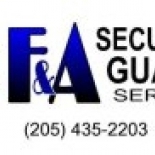 F&A SECURITY GUARD SERVICE (205)435-2203 We Offer Security For Your Home Or For Any Type Of Business.All Of Our Security Guards Have A Clean Background And Can Carry Fire Arms If Needed! We Service Walker And Jefferson Countys And Central Alabama Countys! 24/7 Service Or What Ever Schedule You May Need , We Can Cover It. Bonded And Insured And Ready To Work For You So Please Give Us A Call Today! F&A SECURITY GUARD SERVICE (205)435-2203 in Birmingham is a company that specializes in Computer Related Services, Nec. Our records show it was established in Alabama. Studio Abak Druzba Za Razvoj Prodajo Svetovanje In Servis D.o.o.